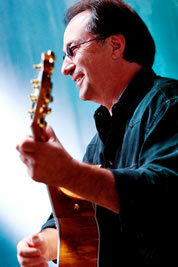 Jim Messina: This particular show that I’m doing is kind of a continuation… more than likely this will be the last year I do this particular set. I have a DVD out [Live at the Clark Center for the Performing Arts] that has a sequence of songs that takes us from the beginning of Buffalo Springfield, to Poco, Loggins & Messina, and of course the stuff that I’ve kind of been doing lately. I thought this would be a great opportunity because Richie [Furay]’s coming in to actually fill in some of the performances from that DVD, which would be having him sit in on “Kind Woman”, “Child’s Claim to Fame”. I did the songs that I either produced or performed, or have been involved with. 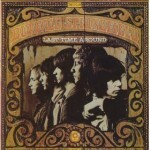 Since I was involved with both Buffalo Springfield and Poco, I bring those in for people to get a chance to hear them. I’m especially looking forward to having Richie sit in on those two songs. And then, I also put in “You Better Think Twice”, which is a Poco song. I’m thinking I’m probably going to save this one for the very last, and invite Richie to come out and join us for the closing of the show. I think the show will have that element to it, which is a very nice thing for the audience and for me. I’m also going to be bringing in John McFee from the Doobie Brothers, who will be sitting in for that part of the set, and then I’m going to have him stay and do a couple of Loggins & Messina country songs, “Listen to a Country Song” and “Holiday Hotel”. JMo: Sounds great! One of the cool things about this show is that Richie will be joining in. Going way back, when and where did you and Richie actually first meet each other? JMe: I think it was 1966, I was working at Sunset Sound Recorders as a recording engineer. David Crosby had booked some time in there, and I was assigned to work with him. In those days, I mean I was probably 19 years old, I didn’t know who David Crosby was. I’d moved out from the Inland Empire, and of course I’d heard The Byrds but I didn’t know the names of the people in it. At first I thought it was Bing Crosby’s son, you know? At any rate, he came in and he had a young woman with him that he wanted to record some demos on. I took that session, and at the end of that session I asked who the producer was, and he said, “That’ll be me, David Crosby.” “What’s the name of the artist?” “The artist is Joni Mitchell.” I recorded all of the original stuff that she did prior to making her deal with A&M Records, I think it was. 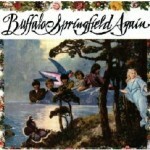 David really liked my work and passed it on to the Buffalo Springfield. The Buffalo Springfield originally had gotten somebody else and that wasn’t working out, and so then they assigned me to the project. 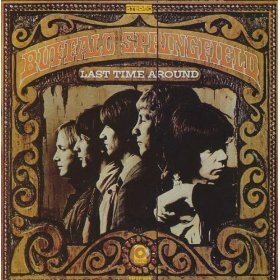 That’s the first time I actually met Richie and Neil [Young] and Stephen [Stills] and the whole group, working on their Buffalo Springfield Again album. JMo: And then you joined the band for the next album, which you produced. What was the mood like in the band at that time? JMe: You have to understand that when I came into the band, first of all I was their engineer. The first person I met and worked with in Buffalo Springfield was Neil Young, and Neil had brought in a whole bunch of tapes that they had recorded over at Columbia, that Ahmet Ertegun had originally meant to produce, or had produced maybe in the interim when they were having some issues. I don’t know what the story was. I was working one-on-one with Neil, with nobody else, and Neil was great to work with. You know, he had a good sense of what he wanted to do and what was going on. So I was very pleased with working with Neil. He was very professional. And then, later on, I met the other guys. I don’t know which order. Stephen came in and had some things. I noticed that they were not working together, as a group, the were kind of more working individually. Neil would bring in the musicians that he wanted to record with, which weren’t necessarily the band. In fact, I think he had done some things with another arranger, I can’t remember his name off the top of my head. And those songs needed to be mixed. And then Neil brought in some musicians and recorded “Broken Arrow”, and that didn’t really involve much of the guys, as I can recall. For me, I wasn’t involved with the inner workings of what was going on. I just did my job, and enjoyed it. I found everybody to be very pleasant. Once they finished that record, then I got a call from Ahmet Ertegun one night saying that the group needed a producer and they couldn’t really decide on who that should be, but they all enjoyed working with me, and he wanted to know if I would be willing to produce them. So that’s how I got that job. Now I have a different relationship. I’m now responsible for getting this work done. The job was put on my shoulders. So I think, at that point, I began realize that they just didn’t seem to want to be in the same room at the same time. I managed to record I think one song, it was “On the Way Home”, where we had the guys in there playing for the most part. But as my memory serves me, very little happened with them as a band during that period of time. Again, Neil would come in and do his thing, Stephen came in and would do his thing. And in those days, I don’t know where Richie is now with all of this, but Richie doesn’t write music in terms of charts and that kind of thing. So at that point Neil took care of himself, and Stephen pretty much took care of himself. He’d bring in the players that he wanted, and I’d record his work. But Richie required a different job from me as a producer. I then would take his songs and write chord charts out for what needed to be done with the musicians, and I think I hired some friends of mine who worked with Leon Russell to do his last songs on Last Time Around. 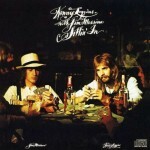 Leon Russell was a good friend of mine, so he connected me with Jimmy Carstein and Carl Radle was the bass player. So I was able to get players together with Richie to get his songs done. Because the other two fellas were pretty much interested in just getting their own done. Now, whether they were getting along or not, whether they’d always gotten along this way, I can’t tell you. It was unusual to see them coming in separately doing their work, and me mixing down with each of them separately to make sure they got what they needed to get done. But near the end of that, I think they were having problems. I wasn’t really privy to it. Once I started to perform with the band, I was asked to be the bass player – I auditioned and did that – I don’t really remember any row, any knock-down drag-outs, any of that kind of crap. You know, I could feel there was tension, and every band I’ve ever been involved with there’s been some sort of tension involved. Bands begin, and then the next thing they’re ready to break up [laughs]. So, I don’t know, I found each of them to be individually pretty focused on themselves. I think in Richie’s case, I hate to say this, but I kind of felt like he was abandoned by the other two. Because, again, they worked so much individually. But near the end, I remember when I was working on the records, Stills came up to me one time, from a detached point of view as far as being in the band, he said to me, “I want you to be aware of something. Richie’s got a really good song that I don’t think you’ve heard called ‘Kind Woman’. I think you ought to bring that up to him because it’s a song that I think should be on the album.” And, later, I thought that’s a great thing for him to do, and that did show that he was listening to what Richie was doing, and wanted to show his support by letting me know that that would be a song to be sure to not overlook. So it got done. I don’t know what the internal stuff was in the band, and I have to be honest with you, even to this day I don’t focus on that because that’s just drama. In my little world I didn’t know what that word meant, but it never felt comfortable for me to get involved in that kind of stuff. It’s about taking sides, and I didn’t want to take sides. I already felt that I was already giving one of them more attention than the rest, with Richie, because he needed the help. But, then again, as a producer that was my job. And it was my job to get that album done, finished, come Hell or high water, which is what I did. JMo: You and Richie then co-founded Poco, and it seems that grew from the sound of “Kind Woman”. 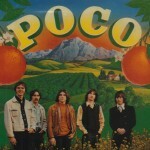 My understanding is that at the time Poco was described as “too country for rock, and too rock for country”. Do you have any thoughts on that particular description? JMe: Well, I think that’s pretty accurate because of what was happening with radio. You have to understand that that phrase, for me, came from the standpoint of us going to a rock station with our record company. They’d listen to it and say, “This is a little too country for our station.” And then we’d go to the country stations, and they’d say, “That’s just too rock and roll.” That was sort of the metaphor for why we didn’t seem to get any airplay. And, yet, we sold out every show that we ever did. People loved to come and see us. But the radio stations were not eager to put us on the stations. You know, there’s a lot of reasons for that. You go back in time, and look at how records get played. They happen naturally or organically, or [laughs] whatever happens, but we certainly didn’t get any of that radio support at all. JMo: You were with Poco for a few albums. Why did it seem to be time to move on after that? JMe: Yeah, for Pickin’ Up the Pieces, Poco, and the live album [Deliverin’]. You know, for me I was getting to a point… and it may be that’s what happens when you’re the young guy – I was the youngest in Buffalo Springfield and eventually a bass player and their producer. I went into Poco as part of that deal because I was coming in as the producer, and looking forward to doing that. Right off the bat, the manager that Poco had when we first signed our contract really left a big distaste in my mouth. When we got down to signing the deal they had decided that I should split all of my [producer’s] royalties with the band. It should be an equal thing. And that took the wind out of me. And then, in silence, I was thinking to myself, “You know what, I’m doing all the work, and these guys want to take eighty percent of that away from me?” And yet, here we are, they bring this up the day that we’re supposed to sign the contract. I’m thinking about this to myself, and I don’t remember my reaction, but I wasn’t pleased. But I knew that I couldn’t say no because I looked around at George [Grantham] and Rusty [Young] and the other guys who were part of the band and who were just beginning their lives. For me to say, “No, I don’t think so” would’ve been, I think, tragic. And in my mind I thought, “Well, I’ll live with this and see what happens”, which is what I did. I went ahead and did it. The first album I did, I wasn’t happy with CBS’s engineering folks. They were not prepared to do the kind of music that we were doing. On the second album I met Alex Kazengras, who was very much into sounds and how to operate the board. He helped me in those days. We began to create stereo drums, get them all off of one track. So I began to get the creativity and I got excited about that second record in some ways, but again there were internal things going on inside of the band that involved Randy [Meisner], Richie… And even to this day I really don’t know exactly what happened. I mean, Randy has told me some things, but whatever those things were, they caused the group to split. By the time we finished the second album, which I thought was one of our best albums, I was getting resistance about ideas and this and that and the other thing. By the time we got to that last record, I just felt like, you know what, maybe these guys need somebody else who can give them a shot in the arm. Because I’m not really getting that I’m that helpful. I just decided, maybe it’s time for me to just work as producer, because I wasn’t enjoying the touring part of it. Richie was starting to get a little anxious. I think he was frustrated by the fact that Stephen and Neil had become very successful, and he wasn’t sharing in that success. None of us were. But there’s no guarantees in any of this that you’re ever going to be a success in what you do. My attitude was you work hard, you do the best you can, give the best performances you can, and at the end of the day that’s what it really gets down to. So, I always had a great deal of love for Richie and [his wife] Nancy. To me, they were my mentors in terms of relationships, and I just saw things starting to change in a way where I didn’t want to develop a bad relationship with Richie. So I let them know that I was going to be leaving, and I thought I would stick around and I would make sure that leaving would not hurt the band in any way. I’d wait until they had a replacement, and I was happy to work with them and train them. They found Paul Cotton. Paul Cotton and I roomed together for part of the tour, until he was really ready to go and he was comfortable. When he was, I told him, “You just let them know. They’ll put you on.” And that happened, finally, on October the 31st, 1970, I think, is when he took over. I was ready to move on, just as a producer. I just was tired of the road, tired of the group interaction type of stuff. 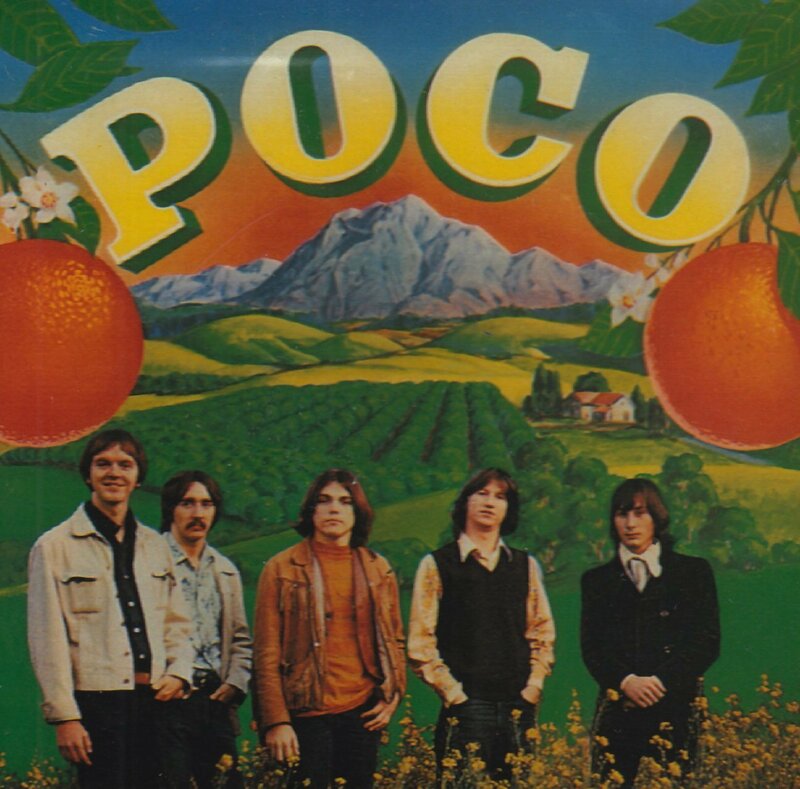 So Clive Davis from CBS said that once I was finished with Poco, and I was happy with that and the transition was comfortable for everybody, then I’d go to work for CBS, which is what I did. It was a great period of my life, to work with Poco, with Rusty, because we really played well together and had great ideas and parts. And I was starting to develop as a songwriter myself, and I didn’t feel there was a lot of room for it. I know Richie was needing a lot of attention with his songs, really trying to make it as a songwriter and a singer. I just feel there wasn’t room for the direction that I wanted to work in. So I just found what I felt was a peaceful way to move through and move on, and not hurt the band. That was my goal, and I believe I was able to accomplish that. JMo: This perhaps isn’t as much of a focus of the upcoming show, but of course you then started working with Kenny Loggins. For you, what were some of the highlights of working with him? I’m sure there were many. JMe: When I first met Kenny, he was a very mild-mannered, eager, excited songwriter. He had a pocket full of songs, much of which was pretty folky. When I first was asked to meet with him through CBS, he came to my house. He didn’t own a guitar. I met his brother first, and his brother said that he was going to bring a tape over for me to listen to, but he didn’t have the tape, and he didn’t own an instrument. I kind of felt, “Whoa! What am I gonna do with this one?” So I said, “I tell you what, I have a Sony tape machine”, which was a stereo machine and two mics. I went into the closet, and I said, “What do you prefer, a steel string or gut string” [guitar], and he said, “Gut strings are good.” “Here you go.” I turned on the tape and microphone, and I said, “Go ahead, sing your songs.” So he came over and he sang a number of songs, one was “House at Pooh Corner”, one was “Danny’s Song”, and all that stuff. So we had dinner, and afterwards we chatted – I was married at the time. I said “Thank you very much. Let me listen to this and we’ll think about it.” I remember telling my wife, “He’s a lovely songwriter. I love the songs that he’s doing.” Especially “House at Pooh Corner” and “Danny’s Song”, and I said, “But what am I going to do to get him to become a performer?” [laughs] I just wasn’t sure that it was there. We met, and we started playing around with more songs, and I gave him a couple of my songs to sing, like “Peace of Mind” and things like that. And then we took “Vahevala”, and brought that up and started trying to get more energy into it. It took me a while to get comfortable with it, and then I was still not there. I said, I need to find some musicians and try to put a band together for him to see, first of all, whether we could get the energy that we needed I think to compete at that time, with what was going on. That’s when Merel Bregante used to work with The Sunshine Company. I had met him in Poco. Then he and Larry Sims worked together. So I pulled them in. You know, [Lester] Garth lived below me in my duplex that we lived in. He was the violin / sax player. So I brought the guys together, and I said, “Let’s take some of these tunes and go through them and see how they feel, and see what’s going on with them.” And suddenly I could see it. It was there. It was just a question of getting the arrangements right, getting the songs right, rearranging much of what Kenny was doing. And to answer your question, he had such great enthusiasm about wanting to record. There was no drama, there was no attitude. It was just, yeah, this is fun. He had a lot of joy. And I hadn’t experienced that in such a long time, since before the Springfield when I used to have my own band with my friends. I realized that being in the Springfield, they were all pretty much into what they wanted to do, and what they needed to do. 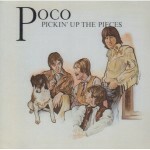 With Poco there was that tension of, well, are we going to make it or are we not going to make it? Is this good? Is this bad? Is this too rock? Is this too country? And the dramas that were involved with that. Suddenly to not have that, and to have somebody really wanting to work and move forward, and a record company that was behind him – they wanted to see him successful – I think was the formula for having some success. The tough thing was that he was inexperienced, in the sense that he had no managers, no agency, no attorneys, no accountants. So it was building a whole new career for him, and making sure that he could do it and understand it. It was quite a job, but at the same time it was very fulfilling. And it was great to be able to give him some ideas of moving into different directions. 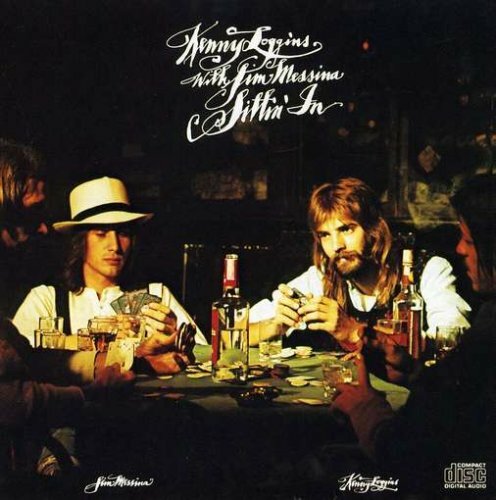 Country rock wasn’t the only thing that was happening in those days, and I felt that it was very important to be able to move in other directions, not just country but something that’s more blues oriented… With Kenny, he was so good at being able to adapt. I mean, we arranged “Pooh Corner” which was originally recorded by the Nitty Gritty Dirt Band as kind of an upbeat pop thing, and I turned it more into a classical song using a more baroque style of playing the guitar parts, and brought more dimension to it so that it appealed to a greater audience. The key with Kenny, for me, was to have him be able to appeal to a greater audience. I think I was able to do that. JMe: Well, I know this probably sounds more like a parent’s advice. Having been through the psychedelic days, drugs, the alcohol and everything else that’s involved in that, I think the most important thing an aspiring artist can do is to hang onto their roots, where they came from. And try to avoid getting involved in any of the social banalities, like getting involved with drugs or drinking, any of that kind of social behavior. Because many times it’s social. “One of the guys”, “part of the crowd”, you know, and so you get involved in doing things. I think it is so counterproductive and self-sabotaging when it comes to what I think we were all there to do, and that is to focus on your music, focus on your playing skills, focus on developing good musical relationships, and work together to support one another rather than trying to pull yourself out of the crowd and become the most important one. I don’t think any career that I’ve ever watched happen happened by one person doing it all by themselves. It takes a team. It takes a group. It takes everybody working together, focused intensely on the goal, which is to get out there and perform, to get an audience, and create a product that they all want to buy.